We have a supply of ready to go trailers in a range of sizes and are consistently replenishing our stock. Get in touch today and we can meet your trailer requirements. This extraordinary 3.6m uniquely designed trailer is very easy to tow with any sized car. It has a slide out pod, electrics and LED down lights. 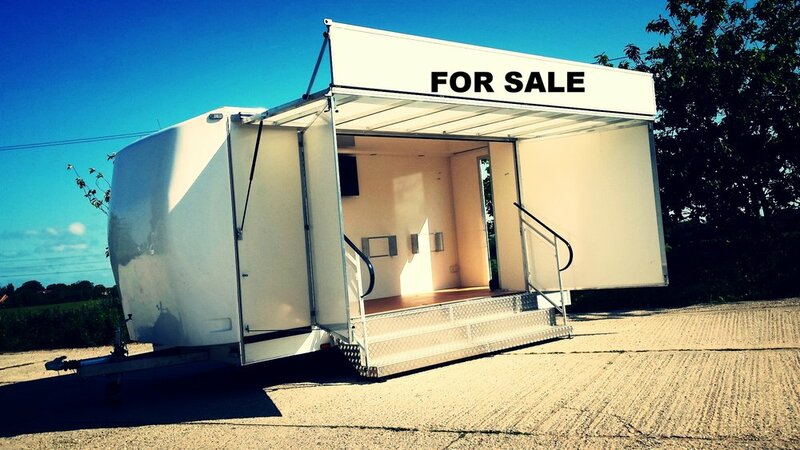 It is ideal trailer for product display but can be utilized for any purpose. 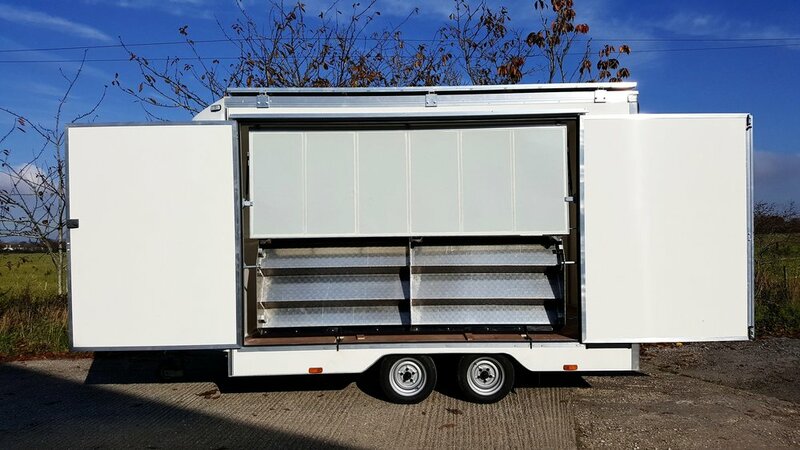 It has a huge amount of display area for promoting your business, in fact the maximum amount of display area from a trailer this size, there really is nothing like this on the exhibition trailer market. Available for sale now, enquire for pricing. The single axle design is simple but effective. This classic trailer unit is a 4.2m twin axle design. It is available NOW, brand new with any additions you require. 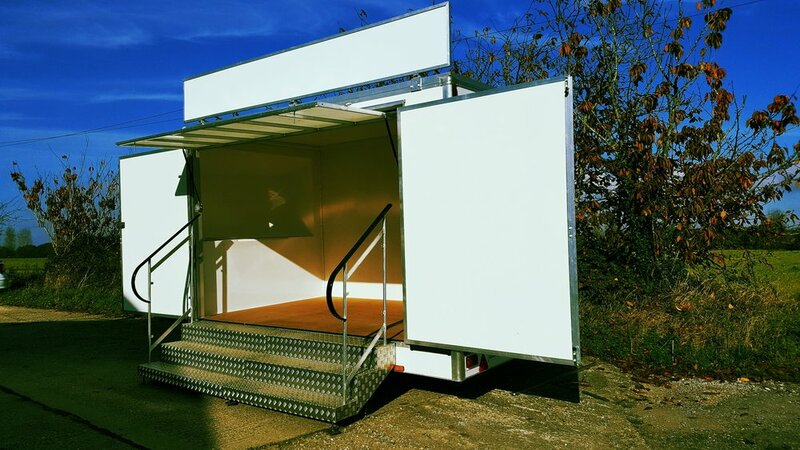 This larger exhibition trailer design has been a favourite for some big brands, such as The Guardian Newspaper, Coca Cola, Harley Davidson and Everest. This is available for purchase and is perfect for promotion or product sampling, but we can adapt it to what you need. For sale now, enquire for price. This 7m big trailer makes a real statement. Huge brands such as Tesla, O2 and Aston Martin have used our Grand exhibition trailer from the Kompak. 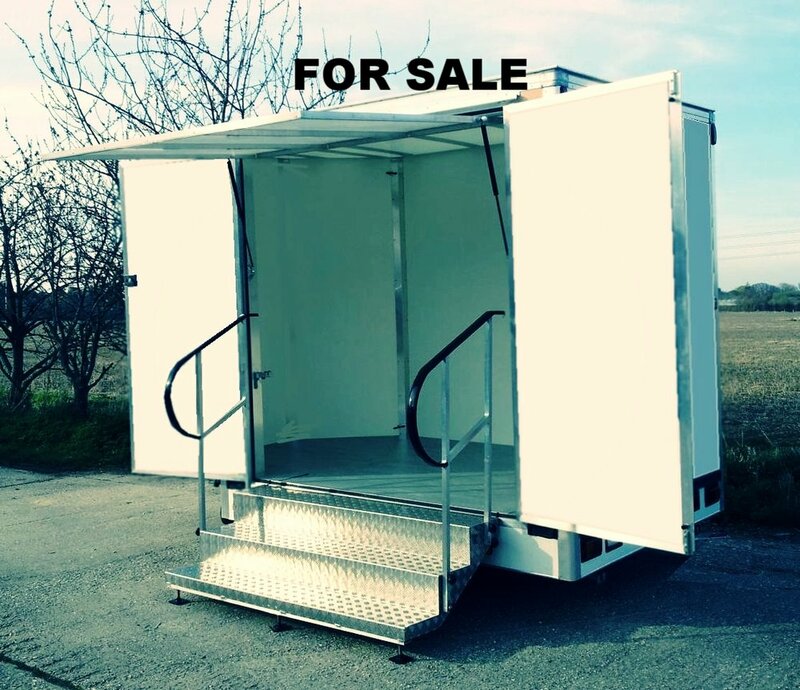 This basic 7m trailer is available for purchase now, and we can modify it according to your specification. Enquire for prices.